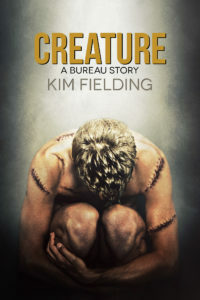 Have you met Creature yet? I’m excited to say that Creature releases on Monday! You can get it at Amazon or Smashwords, and all my royalties go to Doctors Without Borders. No worries if you haven’t yet read the first two books; they can be read in any order or as standalones. Click here to read more about the Bureau of Trans-Species Affairs. And I’m doing a blog tour. Stop by for excerpts, guest posts, and a giveaway. Oh, and if you love audiobooks? Joel Leslie will be narrating all three books soon!